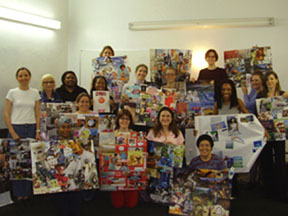 Get clear on what you want in 2011 and beyond with TWM's Visioning Workshop! *TWM Members can bring a friend at the TWM Member rate! Attendees of Kristina's New Year's Workshop can also attend at this rate. Review, Refresh and Reboot for 2011 and beyond! Attendees of this workshop can attend the TWM Visioning Workshop at the member rate! Also, attendees of Kristina's New Year's Workshop of January 22nd can attend the Visioning Workshop at the member rate. Click here for more details.